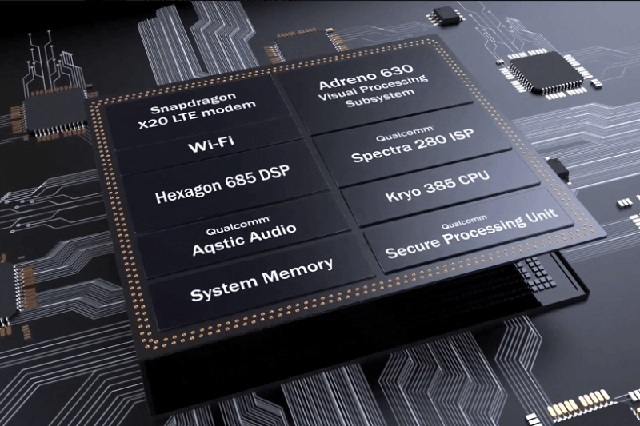 Qualcomm announced its latest and greatest mobile computing platform, the Snapdragon 845, at the Snapdragon Technology Summit in December last year. Since then, the company has been releasing more information about the SoC and it even demonstrated a reference smartphone featuring the chip at CES 2018. More recently, Qualcomm flew representatives from major tech websites to its corporate headquarters in San Diego to test out the chip for themselves. The representatives tested the reference smartphone by running synthetic benchmarks, which yielded impressive numbers compared to the previous flagship processor from Qualcomm. As is evident, the Snapdragon 845 reference phone significantly outperforms all current-gen flagships with the Snapdragon 835. However, the iPhone X still manages to beat the reference phone in almost every test. The new CPU design, which Qualcomm claims is up to 25% faster, along with the new GPU which is 30% faster than the Snapdragon 835, make the Snapdragon 845 one of the best mobile processing units till date. The CPU reference design is based on ARM’s A75 and A55 cores, and offers better performance than the Snapdragon 835. The new Hexagon DSP is up to three times more powerful than the previous generation, making AI tasks much faster. The SoC features new image signal processors and it even includes enhanced security features which make the chip far more secure than the Snapdragon 835. The SoC comes with HDR video support, which means that Snapdragon 845-powered devices will be the first in the market to come with native HDR video support. Additionally, the new X20 LTE modem from Qualcomm, which is found on the new chip, is capable of true dual-SIM LTE, faster peak speeds via five-band carrier aggregation, and a number of other improvements. Even though, on paper, the benchmark results put the Snapdragon 845-powered reference phone on a higher pedestal than its older siblings, Android Central points out that with every successive release the synthetic benchmark numbers mean less and less to the average consumer.